Hearts will melt no matter which Valentine's Day gift you give to your loved ones. Available Colors: Blue, Red, Turquoise, Fuchsia, Olive Green. 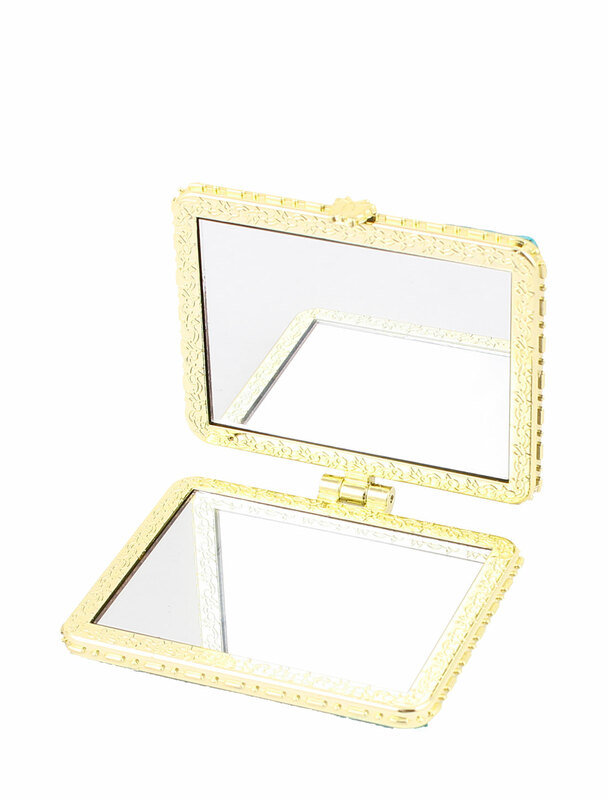 Featured rectangular shape, silk satin face, handmade embroidery flower decor, gold tone metal frame, double side.Chinese national characteristics cosmetic mirror.Compact folding double side design, pull this mirror out of your purse anytime you need to makeup.